Robin Lambert , C.E.O. - In Asia since 1982, Robin has over 25 years' investment and maritime industry experience, primarily in securities and ship broking, and 15 years in executive search. Having trained at sea, he initially worked in London and Hong Kong as broker to major shipping fleets and charterers, including the in-house shipping activities of Jardine Matheson and later moved into the financial industry at the leading independent Asian brokerage firm Crosby Securities and was soon responsible for its business in Japan. He opened and built the firm's office in Tokyo from 1992 dealing with all major Japanese institutional clients and moved to be Sales Director of both ING Baring Securities in Singapore and Barclays Capital in London. 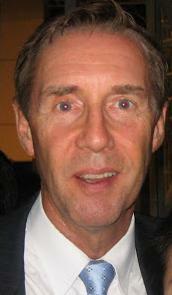 Robin established AFM in Hong Kong and Tokyo in 1998 and later added an outsourcing business which introduced international firms to the Asia/Japan investor base. He is based in Hong Kong but is often in Singapore and Tokyo. 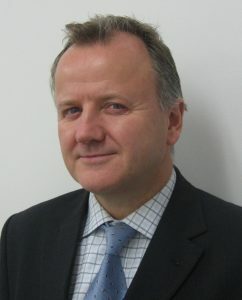 Tony Fordyce, Partner - has over 30 years' legal and maritime industry experience in London, Tokyo, Athens and Shanghai, mainly handling ship sale and purchase, long-term chartering and projects, but also dealing with ship-management, insurance, registration, manning and related aspects of ship-owning. Tony qualified and practiced as a barrister, before moving into shipbroking with RB Hunt & Partners with which he moved to Tokyo working with a subsidiary of publicly-listed Sankyu Inc. He then worked independently in ship sale & purchase and chartering, also giving legal assistance to Japanese ship-owners and is an appointee to the Panel of the Tokyo Maritime Arbitration Commission (TOMAC). Tony also worked in Shanghai for the ship-owning arm of a major private Chinese shipbuilder and in Athens with a Greek ship-owner. Tony is based in Tokyo, but is often in Shanghai. Nick Cowles, Representative, London - has over 35 years of shipping experience in shipbroking, chartering/freight and owner/operating. He worked for The West Hartlepool Steamship Company, before joining Century Chartering, the London broking arm of Marc Rich, where he was posted to New York and then to Hong Kong. He moved on to Anglo Eastern Shipping and then, with colleagues, established Argosy Chartering/Kellett Shipbrokers, a joint venture with Unicorn (Grindrod) and Galbraith&apos;s. He later worked with Pacific Basin Shipping and also established the New York office of MUR with which he relocated back to London. His career also included service at brokers SSY and GFI and operators PGSC and ISL Dubai. Most recently he worked in Shanghai with China Shipping (now COSCO) to establish a Supramax break-bulk shipping line. Satoshi Takenaka, Advisor, Tokyo/Representative, London - has over 20 years' experience in FX Derivatives trading and the Cash/Derivatives Exchange business. Tak started his career with the Dai-Ichi Kangyo Bank before joining Chemical Bank, New York with responsibility for Japanese corporate FX trading. He moved to Barclays Bank, London in 1990 where he was responsible for starting a new Japan desk in the treasury division, followed by a five-year term with LIFFE (London International Financial Futures & Options Exchange) where he headed the Japan desk. From 1998 until 2003 he worked as the Deputy Chief Representative for the Tokyo Stock Exchange, then with Xinhua Finance as Managing Director of Corporate Communications, and in 2006 he joined AFM.